Pick the right one and you’ll have unlimited opportunity. Affiliate networks are platforms to find affiliate programs. 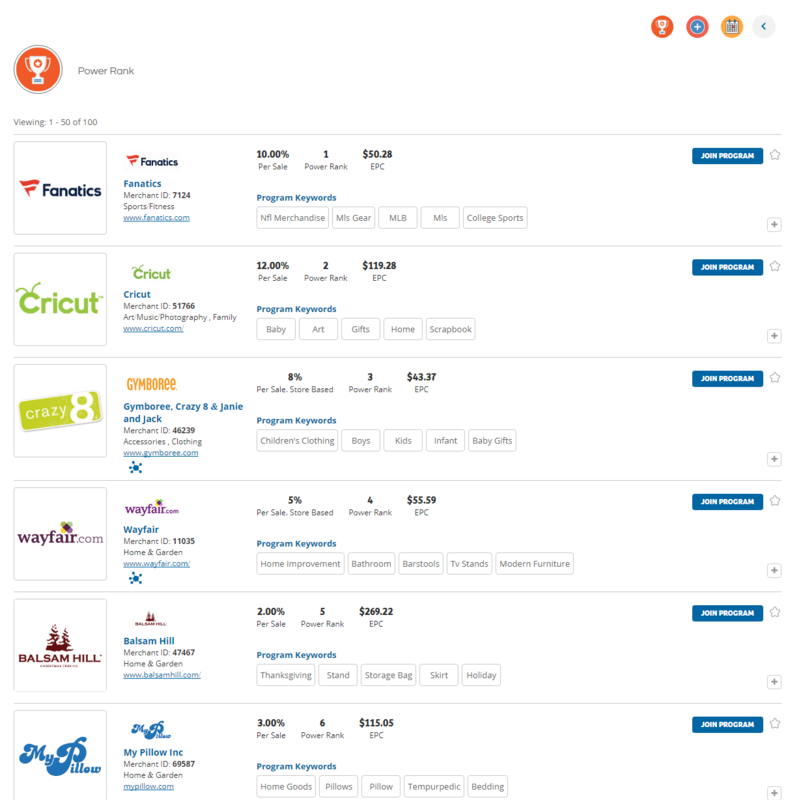 A network, like ShareASale, has thousands of vendors. While other networks may specialize in specific affiliate payment models. We mention curation for a reason. Creating an information and affiliate program is dead-simple. Unfortunately, there are many individuals trying for a quick buck. 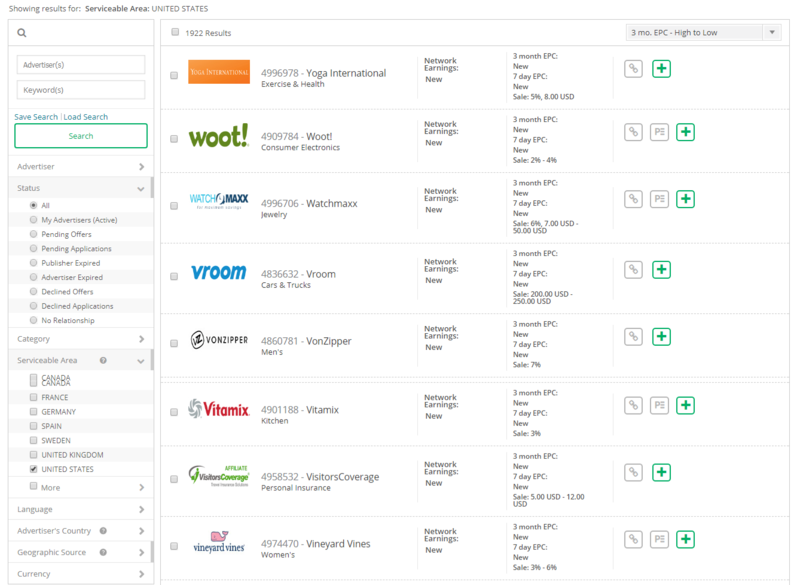 Lesser-managed affiliate networks become flooded with these lackluster programs. Affiliates and their followers get burned from low-quality products and service. Curation by the affiliate network team ensures quality. Their fine selection of what’s allowed on the platform is beneficial. Ones not only providing great affiliate commissions but offers your community want and need. Our intent is to guide you to the best affiliate networks for beginners (see our best beginner affiliate programs if you rather choose from an extended, curated selection). We think you’ll find your greatest success through the following platforms. We mention two criteria we use for selecting beginner affiliate networks. There were dozens we could have listed – but that would only overwhelm and frustrate you – which is why we’ve refined the list to what we feel are the easiest to get into while offering the best selection of offers. We split our list between networks from programs because they offer a fundamentally different experience. Think of affiliate networks as working at a higher tier – they’re providing a link between a publisher and third-party. What you do with them is entirely up to you. Each network houses programs with different models – CPA, CPM, Etc. Sorting by the EPC (Earnings Per Click) is a good starting point when you’re on these networks. The EPC is a rough estimate of what you’ll earn for every 100 clicks. Refine your selection based on recognizable brands and their categories. From there, the sky’s the limit. LinkShare (Rakuten Marketing) is our preferred affiliate network. Here you will find top brands covering all categories. The choices are mesmerizing. Within the platform, you’ll find extensive program directories offering dozens (even hundreds) of promotions and deep linking opportunities. LinkShare has been going strong since 1996; making it one of the earliest affiliate networks on the Web. In 2005, Rakuten bought the company and rebranded it to Rakuten Marketing (though the Linkshare name sticks). This is huge because Rakuten is the largest e-commerce site in Japan and has been dominating much of the Eastern world – it’s right on par with Alibaba and Flipkart. The LinkShare affiliate network is a little tough to join but once you’re in its pure choice. You’ll likely spend hours digging through the endless options of top brands. We’re already on board with big affiliates like Walmart, AT&T, Macy’s, and more. We think Rakuten Marketing is the perfect fit for promoting established brands. The dozens of categories (and sub-categories) should give you more than enough affiliate programs to work with when adding offers to your site. These programs are also likely to influence your niche selection based on hot offers and simply discovering a new interest. 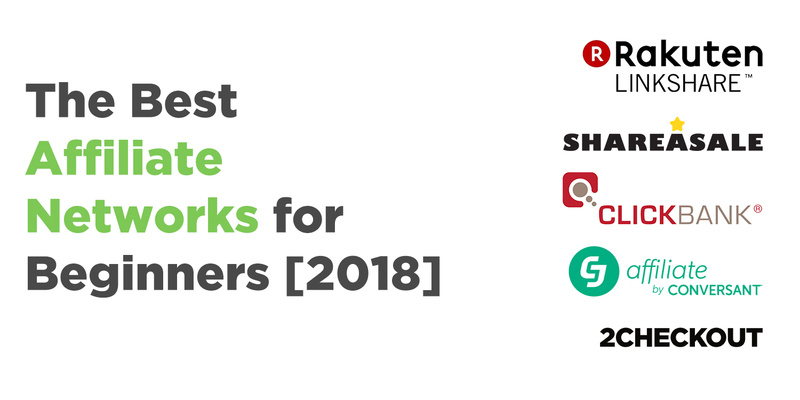 The top paying affiliate programs on these networks also offer a cross selection of post links, social media templates, email newsletter suggestions, data feeds, web design features, and more. LinkShare is perfect if you want the full affiliate network experience. It houses some of the best affiliate programs and offers. The affiliate management team is top-notch and there’s a wealth of training information to help maximize your efforts. ShareASale is synonymous with physical product affiliate marketing. When you see people promoting offers that aren’t directed at Amazon Associates then it’s likely going to ShareASale. This affiliate network has been a leader in its space since 2000. First, you’ve got a selection of nearly 4,000 merchants represented across the affiliate network. Their affiliate platform is streamlined to provide stellar service to their merchants. Meaning, good care of their merchant trickles down to the affiliates. Merchants can upload massive data feeds – you’ll have access to entire inventories! Sign up takes a five-step process where they’ll review your business and how well it aligns to their affiliate network. But, once you’re in its magic. 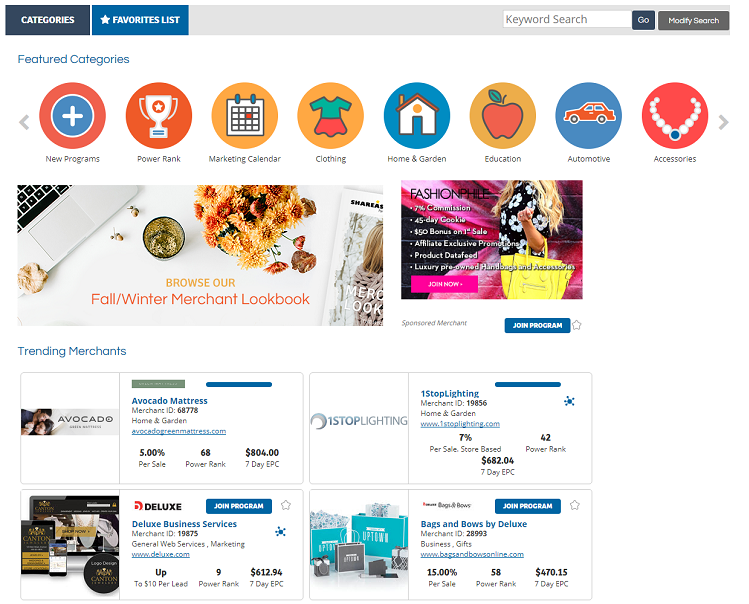 The simple interface lets you quickly find merchants related to your affiliate niche. You can refine your search based on merchant categories such as those offering: data feeds, coupons, deals, and big promos like Black Friday and Cyber Monday. What kind of affiliate programs will you find? Try big brands like NFLShop, Grasshopper, Sally Beauty, Redbubble, WP Engine, and thousands more. What’s especially nice is how easy program approvals are once you’re in the system. You’ll find dozens of link selections and coupons for your affiliate promotions. Especially during big shopping holidays – you can push those mega-deals for awesome affiliate commissions! ShareASale is perfect for those wanting something more with their physical product promotions. It’s an affiliate network that gives you better options than sticking with a single program like Amazon. The coupons, mega discounts, and generous commission structures make it top-notch! Clickbank is popular within the affiliate marketing community because it offers high-profile affiliate launches and an all-around nice mix of offers. Clickbank certain shows its age but the platform is going strong. Here, you’ll find a good chunk of your information product and software promotions. 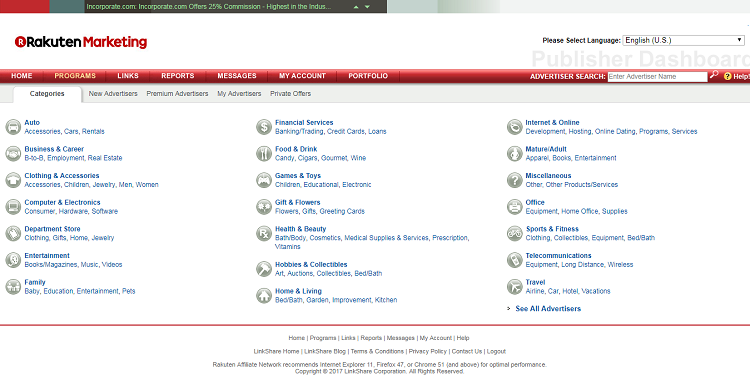 Clickbank has a special place in affiliate marketing. The platform is where you’re most likely to find the major promotions within the industry. Basically: Clickbank is the affiliate network for affiliates. The platform offers a ton of information and software offers – as in… the big money-makers. Clickbank is usually the first affiliate network marketers gravitate toward. It’s a relatively easy platform to get started with because they’re not too stringent on who’s joining. It’s best you provide examples of what you do to expedite the sign-up process, but you’ve got a great chance, all-around when joining. Once in there – you’ll find thousands of worthwhile affiliate promotions ranging from website plugins to information products covering all niches and markets. It’s an affiliate marketplace with high-paying affiliate offers in the big niches (health, beauty, fitness) but plenty more in smaller ones (spirituality, green products, wine, etc). What we generally like about the platform is how easy it is to use. All you need to do is search for a product that’ll fit your niche, grab the affiliate link, some banners, and start promoting! Clickbank also does a wonderful job with big, sponsored promotions and affiliate training. Clickbank has a bunch of good offers, sure, but the merchant selection is sometimes sub-par. It’s quite easy to set up a merchant account on the platform so you must sift through a lot of junk to find the better offers. You can use EPC as a guide but we recommend validating offers by examining the page, promotion, and who’s behind it before you get too involved. It’s kind of a tossup with Clickbank. The affiliate network has a lot of great, high-paying offers but then there’s a lot of crap. The platform is easy-to-use but it’s also clunky. Despite all this, we think Clickbank is right up your alley if you’re doing a mix of physical and digital product promotions – especially since joining is so easy. CJ Affiliate (formerly Commission Junction or CJ.com) has been in the affiliate marketing game for quite a long time. Their legacy as an affiliate network has attracted plenty of high-profile brands to their platform. 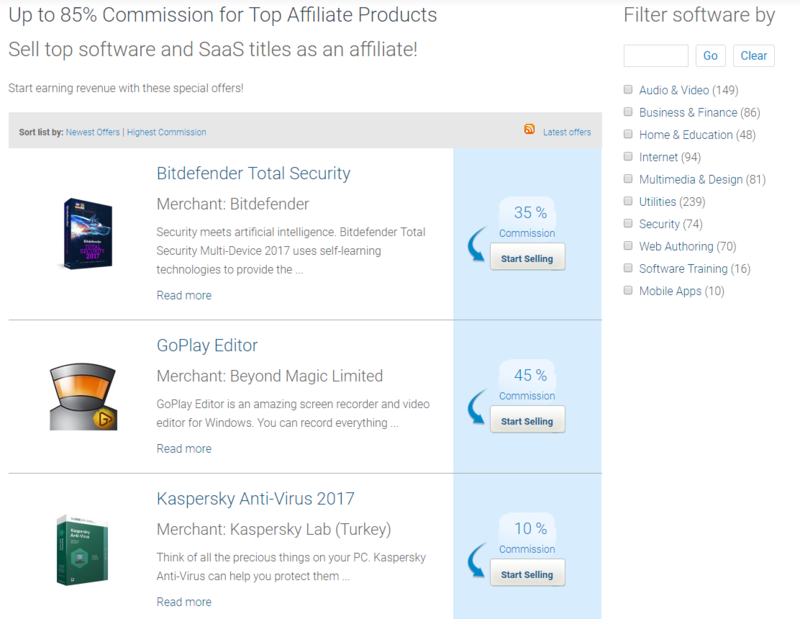 This is good news for affiliates looking to promote solid offers! CJ Affiliate was merged with other online companies (acquired over the years). Conversant, its parent company, was picked up by Alliance Data. Since then, the affiliate network has gone through a major overhaul to improve merchant and publisher satisfaction. CJ Affiliate is hit-or-miss with joining so it’s best to prove your work before you jump in. You’ll have trouble with the individual affiliate programs, too. Make sure you’re filling the important information and tying it to proven efforts. You’ll find programs for some of the biggest brands from Verizon Wireless and AT&T to Dell, Bing Ads, Hootsuite, and plenty of others part of your everyday experience. The publish toolbox (a way to help affiliates maximize their content marketing promotions) and Pay Per Call (calling leads and generating sales) are two of the platform’s finest features. CJ Affiliate excels because they’re selective with their advertisers. There’s an excellent selection of programs offering high commission structure – with great EPC. CJ does offer a lot of great training to help affiliates success (in general and with the network). CJ Affiliate is an affiliate network you’ll want to be on. It’s tough to get in and even more so with the individual programs. But, it’ll start coming together once you show value. The high-profile brand selection makes this affiliate network one of the best to work with. 2Checkout (formerly Avangate) is a leading CPS affiliate network specialized for digital goods. Their platform boasts over 30,000 software products and digital goods. Offers ranging from security software, business & office solutions, to audio & video apps and more. 2Checkout (at first) seems confusing because of their recent acquisition of Avangate. Yet, once you dig in, you’ll find some of the hottest software promotions. You’ll find mobile apps, security software, Internet services, video tools, and more. These are big-brand names like Kaspersky, ResumeMaker, Facebook Post Manager, and more. It’s a mixed-bag, really. A bit like Clickbank regarding low-profile merchants mixed with big names. 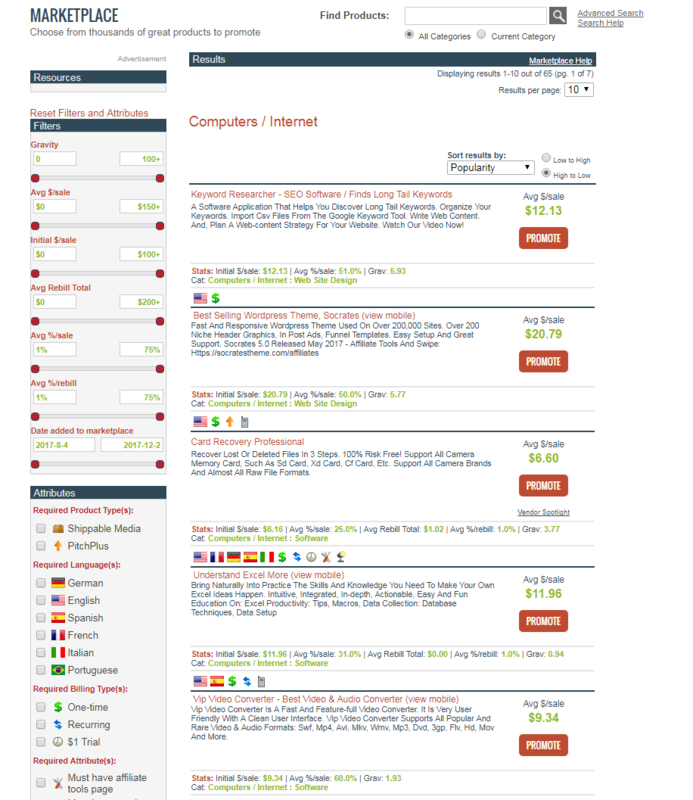 You’ll have to dig a little to find the appropriate offers for your site. If you do find those good promotions – you’ll make hefty commissions. 2Checkout is offering some of the highest affiliate commissions across any affiliate network. This puts you in an advantageous position if your niche includes business, Internet, and security. Though, you shouldn’t have trouble adding it to your everyday promotions if you angle it right. 2Checkout is a niche affiliate network we wanted to include because A) software has high ROI and B) it’s an easy network to join and play with. The offers will expand as merchants get on board with 2Checkout services. Yet, already there are lots to promote (and make good affiliate income). 2Checkout is the way to go if you’re anywhere in the software niche. The affiliate network is great for those wanting to find upsells and cross-sells with hardware. Targeting the business niche is especially lucrative. These types of affiliate networks are ideal for beginners. Many affiliate networks have strict sign-up requirements so don’t feel bad if you’re rejected. Keep working on improving your website and its traffic. Prove you’re an affiliate star to the networks. If you wanted our advice… Go with LinkShare or ShareASale. LinkShare and ShareASale have the largest options for popular affiliate programs. You’ll find most of the major brands represented and shouldn’t have issues finding good programs to promote. Clickbank is a superb choice if you want to keep things simple. Information products are (and will always be) hot commodities. They have high-profit margins and EPC. Clickbank will have those popular promotions you’re finding in a lot of niches. Why not promote what’s already selling well, right? It takes some time to figure the basics of affiliate networks and programs. You could read endless articles on the topic or… you could dig right in. We side with the later. The point of the post was to keep you from feeling overwhelmed. We could have listed hundreds of affiliate networks – but what good is that if you’re frustrated? We believe these to be the best. They’ve got the offers you and followers want. Go on, join a network, and see what you can find. Let us know which beginner affiliate network you selected from and how you plan to put it in action with your affiliate business!